If asked before the season which Georgia Swarm player was poised to make the biggest jump many would have said Zed Williams. And those people would have been right about that for sure. The fourth overall pick in the 2017 NLL Entry draft out of Virginia has really come into his own this season after seeing more limited action last season as a rookie in 2018. As a rookie in 2018, Seneca Nation member didn’t play as much of an offensive role has he has this year. In fact, Williams saw his minutes diminish last year as players came back from injury. He was eventually pushed out of the lineup all together. As the second youngest of eight siblings, Williams was probably used to having to fight for attention. But with some of Georgia’s expansion draft losses, especially Kiel Matisz, a hole was left and Williams was the guy to fill it. Williams has broken onto the scene this year pretty nicely, working right in with that high-powered Georgia offense. He has now become a threat to opposing defenses, and a force to be reckoned with for sure. It may have been easier for Williams to slip into this role than it might have been for some other players. The one factor there is chemistry. Williams has played in every game for the Swarm thus far, and is currently the team’s fifth leading points scorer with 31 points (17G/14A). He also has three caused turnovers and has chased down 56 loose balls. His breakout season started in the first two games of the season where he had one goal against New England in game one and two points (1G/1A) against Toronto in game two of the season. Since then Williams has continued to climb up the ladder and find ways to contribute, especially on the offensive side of the floor. His first big “breakout” performance was game four of the season when Georgia beat Philadelphia 13-11. In that win Williams set a career high in points with five (3G/2A). Two other games where he really shined was in Georgia’s 13-10 home win against Saskatchewan in week seven and their 15-11 win over Rochester in week 12. In both of those games Williams tallied four points (3G/1A). While Williams’ stats don’t jump out at you every game, he has been performing well and getting it done in others areas of the game. Williams is the guy that can make the extra pass and moves off ball well. As a transition player he gets a lot of those loose balls that are crucial if you want to win in any game. Williams has grown into this Georgia Swarm system in just about a year and a half in the league with the Swarm. In his second year lacrosse fans have seen Williams grow and mature into what you could call a rising star. 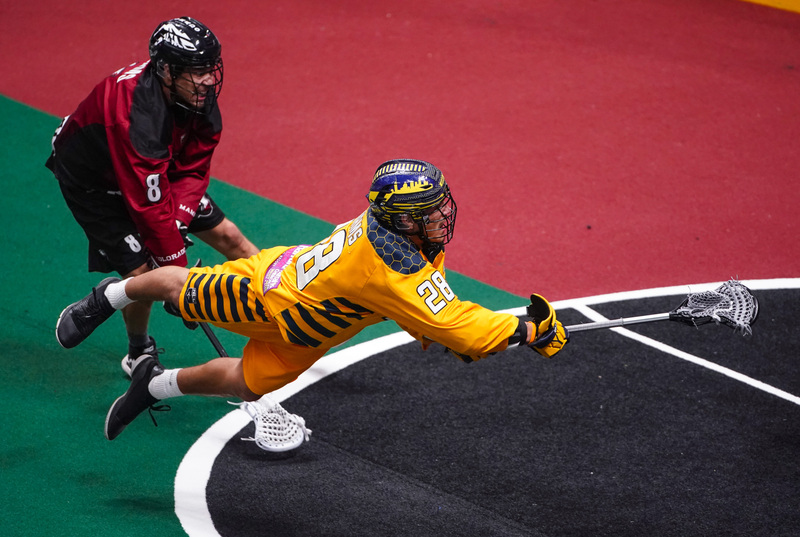 Currently sitting at second in the east and having already clinched a playoff spot, there is much more lacrosse to be played for the Swarm this season. That means a lot more lacrosse for fans to see Williams do his thing on the floor, wowing fans with his goals and helping his team in various different ways.